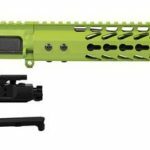 16″ AR-15 Upper Zombie Green Complete Assembly, Nickel Boron Bolt Carrier Group, 15″ Slim Matching Zombie Green Keymod Handguard Rail. 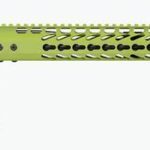 The AR zombie green parts are coated with material From Cerakote Gun Coatings by a local Certified Applicator for a lasting strong finish on the AR-15 Upper and Keymod Handguard. 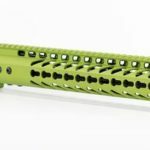 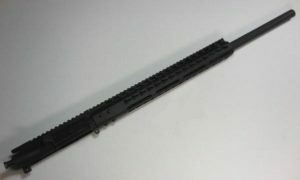 Daytona Tactical test fires every custom AR-15 upper to verify cycling. 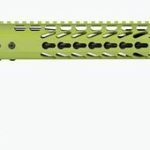 We do not guarantee cycling with all .223 / 5.56 ammunition due to vast differences in the quality of ammunition. 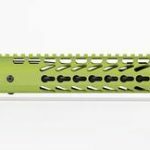 We will only warranty cycling with US made ammunition. We will not warranty cycling of the AR Upper with imported, steel cased or reloaded rounds.